Neroli Portofino Acqua by Tom Ford - A citrus fragrance for women and men. With notes of citrus and amber this Italian Riviera inspired version of the original Neroli Portofino perfume by Tom Ford is vibrant and sparkling. Launched in April 2016 and available in an eau de toilette spray. 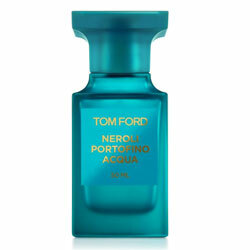 Package Design Original Tom Ford Neroli Portofino bottle with azure blue bottle and lable.